These are the terms used by Cassiodorus on behalf of King Theoderic (493–526) to express the relationship between the Ostrogothic Kingdom and the Roman Empire at the beginning of the sixth century. Yet, these words, designed as a vehicle for imperial flattery, do not do justice to Theoderic’s rule. As Professor Herrin’s IMR lecture ‘Rethinking Ravenna: The Ostrogothic Inheritance’ skilfully demonstrated, Theoderic was not a simple imitator. His long 35-year reign continued and extended Roman government in a mixed society. His was a behaviour thoroughly appropriate to a Roman emperor. This is not surprising. Theoderic had ample opportunity to immerse himself in Roman life and politics during his ten-year stay in Constantinople as a child-hostage. Those were indeed his formative years (aged 8-18), which were to teach him what power meant and how it was to be wielded. Theoderic’s building projects and magnificent mosaics in his capital of Ravenna were another expression of that power. His portrait in San Apollinare Nuovo, his private chapel, was a rare example of the display of secular portraiture in churches. Another famous example, which was to follow Theoderic’s own, was the mosaics of Justinian and Theodora at the church of San Vitale. But there was also an important precedent: San Giovanni Evangelista, the court chapel of Galla Placidia and her son Valentinian III. Although the mosaics of San Giovanni Evangelista no longer survive, we know from a sixteenth-century record that they represented the busts of emperors including Constantine, Valentinian and Gratian. They were a means by which Galla Placidia tried to establish her dynastic geneology and assure the ascension of her young son. They were a rare display of secular power in a religious context. In fact, apart from these three examples (all in Ravenna), no other images of rulers have survived from fifth- and sixth-century churches. Such displays were particularly unprecedented in the East. The iconographic programme of San Apollinare Nuovo seems to have been firmly rooted within a very local context. This is particularly interesting, as Theoderic is known to have brought craftsmen from the East and to have taken inspiration from Constantinople for some of his building projects. Here again we see the qualities of Theoderic’s rule: it was not a mere imitation of the Eastern Roman Empire, but a fusion and an acceptance of different traditions, found in this case in Ravenna, the capital of Ostrogothic Italy and the land that had until a few decades before been a heartland of the Roman Empire. But Theoderic had also set a precedent himself. 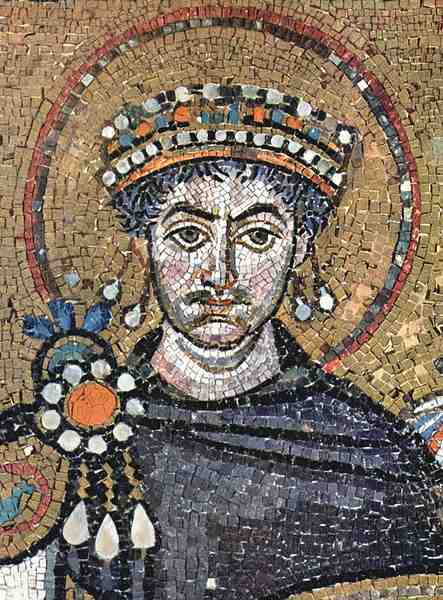 When Ravenna had been reconquered by the Eastern Empire, Justinian’s general, Belisarius, was confronted with these local displays of power and was quick to adapt, placing the portraits of the reigning emperor and his wife in the church of San Vitale. In this way, Justinian and Theodora are found flanking the approach to the altar in a city they had never visited. Although the imperial couple might never have set foot in Ravenna, Professor Herrin’s vivid presentation of the city, the buildings, and the people certainly fuelled the imagination of the audience and made everyone impatient to see its treasures for themselves.